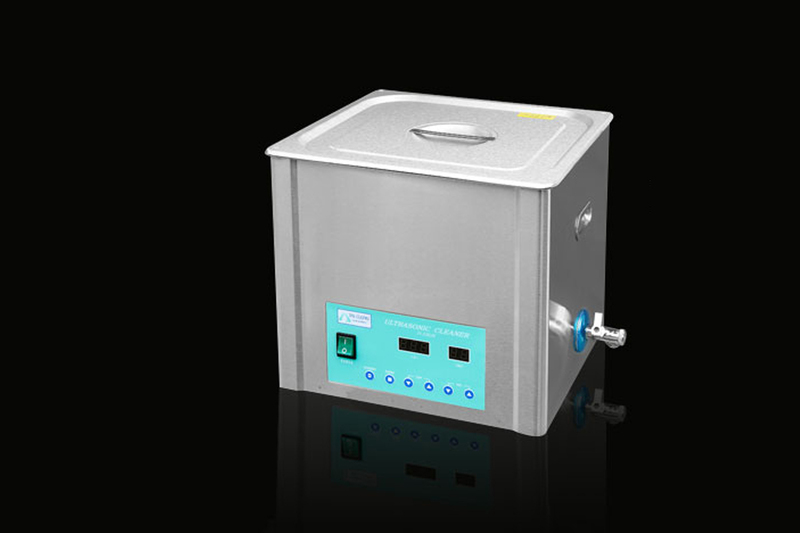 Tri-Clean ultrasonic cleaners by BrandMax provide superior cleaning power which results in cleaner instruments. 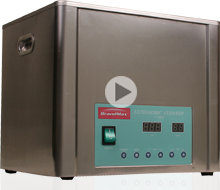 All Tri-Clean ultrasonic units come standard with heating element,cycle time controller and stainless steel basket,there is no need to pay extra for these valuable options when BrandMax provides them for free! 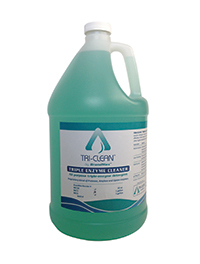 Take the Tri-Clean Challenge . . . 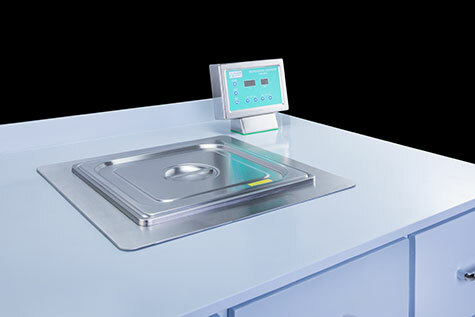 Heating element included Expensive option included for free! 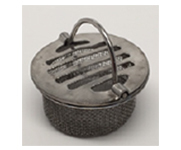 Stainless steel basket included Expensive option included for free! For counter top units, please add 2” to length dimension for external drain spout. | 220V option available as special order. 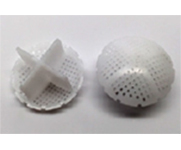 *U-40LH is special order only , and does not have heat. 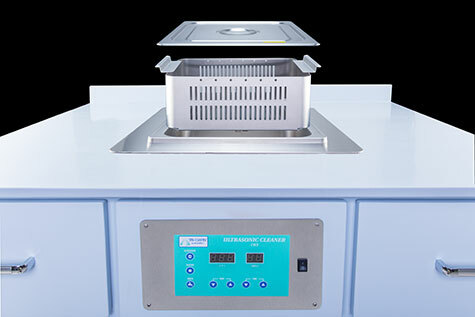 Tri-Clean recessed ultrasonic cleaning units offer an attractive alternative to above counter models. 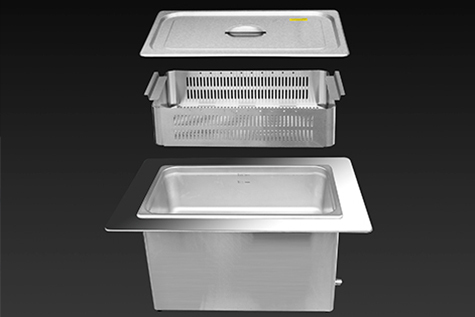 Our all stainless steel recessed units offers the same premium features and benefits as our above counter models but also an extended control cord for above or below counter mounting of control panel. 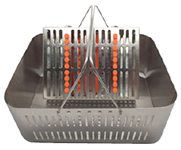 How do you maximize your cleaning process..
For all U-3LH, U-5LH, U-5LHREC, U-10LH units. For 10LHREC and all 13L and 20L units SN 3259 and lower. 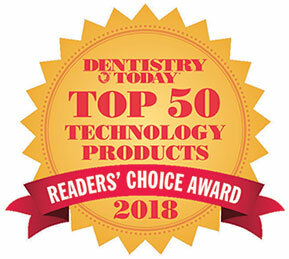 Please specify Serial Number and model number when ordering. For all 20L, 13L units and 10LHREC serial number 3260 and above. 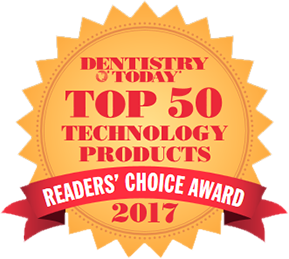 Please specify Serial Number and model number when ordering. Solenoid Valve for all units. Please specify model number and serial number when ordering. 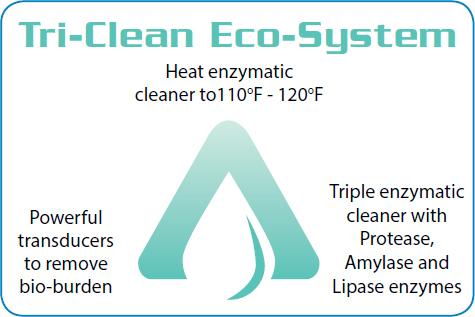 Heat is a crucial element to maximize the enzymatic activity and heating your enzymatic solution can improve the overall cleaning effectiveness.